Want a smarter mobile campaign? Study the right data. 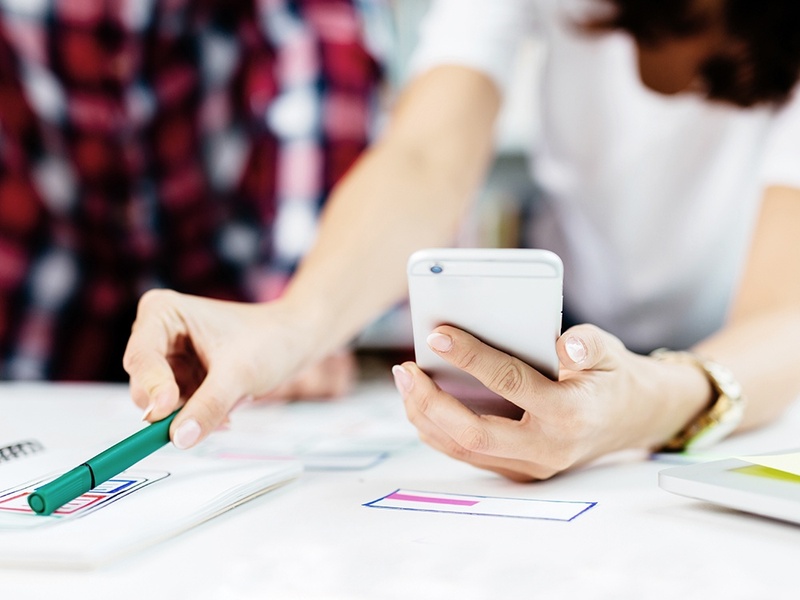 Consumers love all things mobile, making it a goldmine for marketers. According to eMarketer, not only will nearly 28% of digital and traditional media ad spend shift exclusively to mobile by 2017, but it will be paced by a 78.3% jump in sales via smartphones. Fact: Visitors interact differently with mobile and desktop, despite the content being the same. Consider: Vary your tracking based on how a visitor interacts with content. For example, a desktop site checkout could use multiple pages while a mobile site could use one page with accordions to display each step of the checkout. The store locator pages that might use automatic device location to search for a store on the mobile site may require manual input on the desktop site. Understanding these different experiences is the first step to tracking accurate data. 2. Know your platforms and tracking tags. Fact: No two mobile platforms are alike, and platform technologies differ. Consider: Implementation of tracking tags on one mobile vendor’s platform is likely going to be different than on another vendor’s platform and this could affect how data is tracked. Mobile platform structures usually fall under four different types: single page applications, completely built from scratch, proxy of the desktop version, or a hybrid of proxy of desktop version and built from scratch. There are variations on these but each provide their own development challenges. Proxy sites can pull in tags already implemented on the desktop site while built from scratch pages do not. Single page applications only have one page load, so firing tags on subsequent pages can be a challenge since most tags fire on page loads. Configure tags based on your needs and what you’d like to track. Fact: Redirects happen, so it’s best to be prepared for them. Consider: The easiest way to test for redirects is to use a mobile device or a browser user agent and click on a marketing link. Once the mobile page loads, check the URL address of the landing page to see if the necessary URL parameters are present in the query string. If you are not seeing the correct URL parameters, then you need to use a tool (i.e., Chrome plugin Redirect Path, Charles) that can show you the redirects that occur from the original link to the final landing page. This will allow you to see where the URL parameters dropped off. Most likely the parameters dropped off either on the desktop site redirect or the mobile vendor platform did not display the URL parameters on the final landing page. 4. Be aware of differing domains. Fact: Domains may differ on mobile and desktop and this could affect how easily it is to track visitors between the desktop and mobile sites. This is especially true for web analytics tools and cookies that are set to one domain or the other. Consider: If you have multiple subdomains (e.g., www.mydomain.com and m.mydomain.com), then cookies that need to be on both sites should be set with an agnostic domain of “.mydomain.com.” In the case of web analytics tools, each one usually has a way to work around the multiple domains, but they require additional configuration/development work and potentially, an additional cost. 5. Check for mobile responsiveness. Fact: Not all mobile sites are created equal—or responsive. Consider: If the mobile site is responsive, then separate mobile reporting might not be possible. This is due to the fact that the domain—typically used to help identify which version the user is viewing—is the same for the desktop and mobile sites. If possible, analysts can filter their data based on user device to see the split between desktop and mobile. If the mobile site is not responsive, then it is best to send information in the mobile tags indicating that the data came from the mobile site. This is especially important if data from the desktop and mobile sites are flowing into the same account. Explicitly tagging data coming from mobile, rather than filtering the reports by user agent, is crucial since some sites allow mobile visitors to revert to the desktop site. This means some mobile device users could actually be seeing the desktop version of the site. 6. Differentiate your data layer. Fact: If you’re using a Tag Management System and a Data Layer, the content going into the data layer might be different for a mobile site. Consider: A data layer is basically just a reflection of the page content and visitor actions on a page. However, since a mobile site can be different from a desktop site in structure and content, the data layer on a mobile site will need to reflect these differences to allow tracking tags to be implemented correctly.